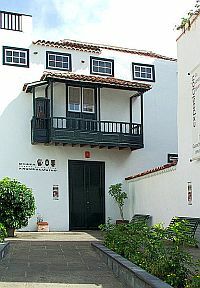 In the old fishing quarter of Puerto de La Cruz, this small museum is found, housed in a 19th century traditional Canarian house. Despite its size, it is regarded as one of the most important museums in the Canary Islands. The house was originally purchased by the City Council in 1981 and lovingly restored. 1991 saw its first opening to the general public. The museum, as its name suggests, focuses on the archeology of the island, specifically the Guanche people. It houses an amazing collection of Guanche pottery and mummified remains of these original island inhabitants. There are other, more recent artefacts, such as weaponry, ancient maps and other documents and, yes, butterfly collections. The house was originally purchased by the City Council in 1981 and lovingly restored. 1991 saw its first opening to the general public. The museum, as its name suggests, focuses on the archeology of the island, specifically the Guanche people. It houses an amazing collection of Guanche pottery and mummified remains of these original island inhabitants. There are other, more recent artefacts, such as weaponry, ancient maps and other documents and, yes, butterfly collections. This gentleman, born in Gerona, 1907 and dying in La Laguna, 1987, was a formidable archaeologist, who spent a good part of his career on the island of Tenerife. He discovered and catalogued many ancient Guanche artefacts. 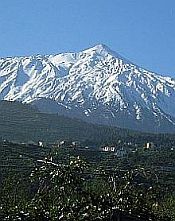 Eventually, he was appointed head of the Archeological Museum of Tenerife in 1951. Today, his many scientific documents are displayed in the Puerto de La Cruz museum. Photo: cinetech One of the most unique and famous exhibits that the Museum is fortunate enough to possess is what appears to be some sort of Gaunche idol, known as "Guatimac". One of the most unique and famous exhibits that the Museum is fortunate enough to possess is what appears to be some sort of Gaunche idol, known as "Guatimac". The Museum is located on Calle El Lomo, which is a pedestrian walkway from Calle Mazaroco to Calle de Perez Zamora.